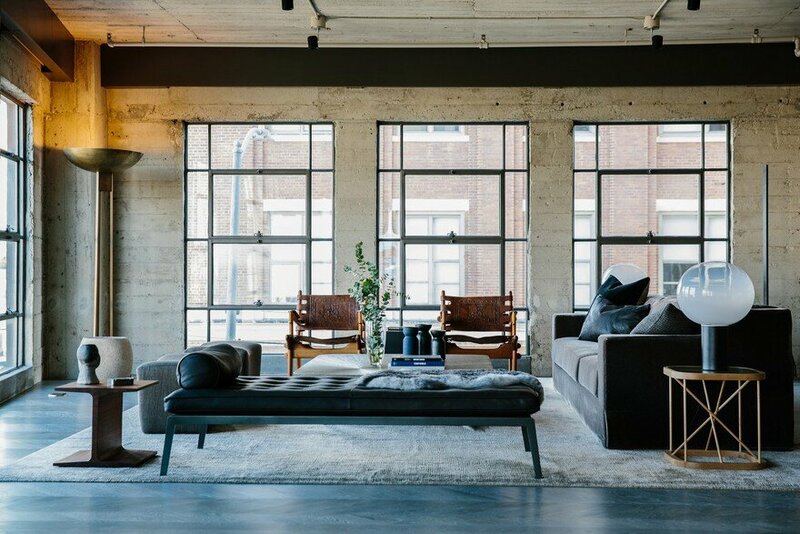 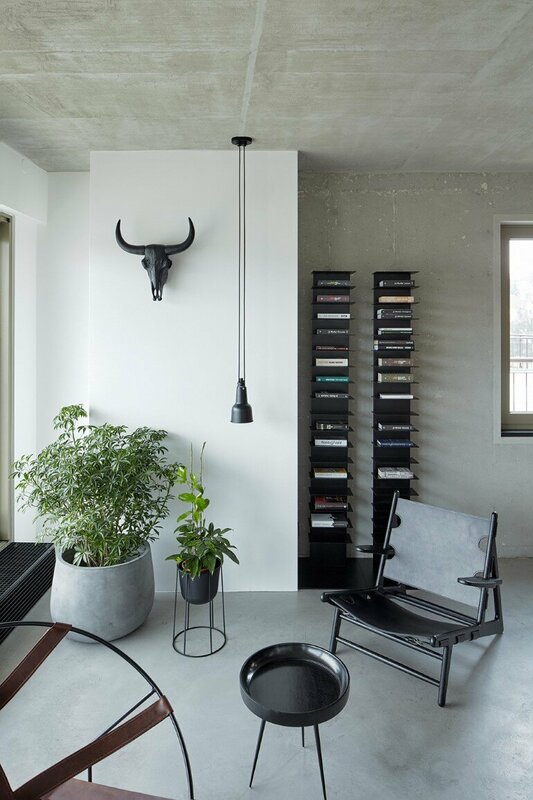 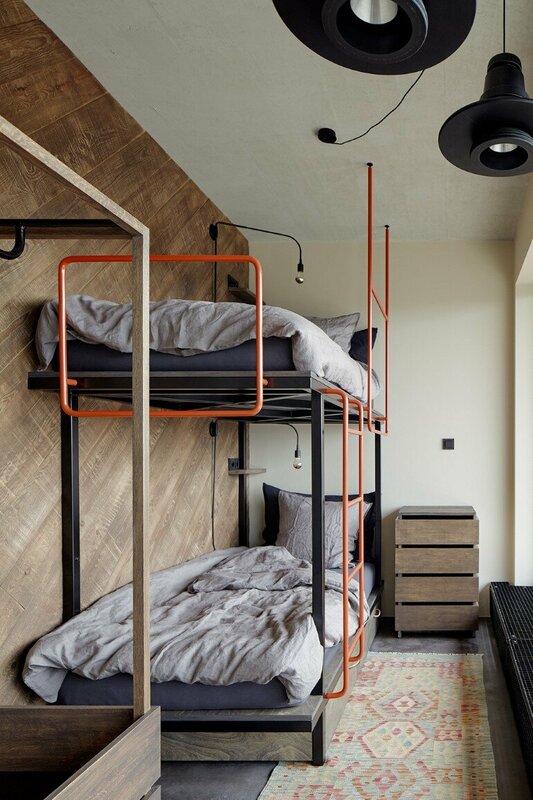 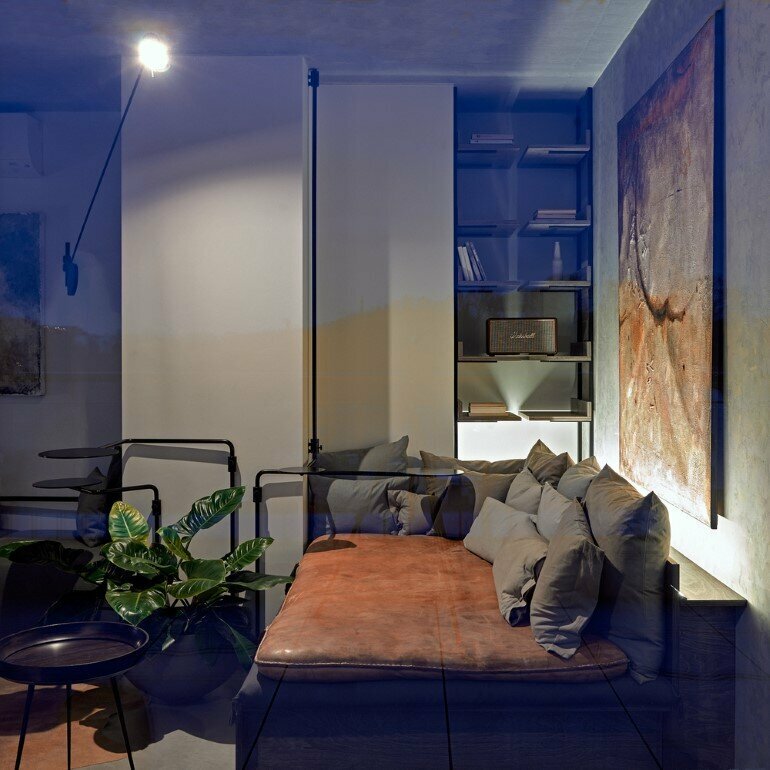 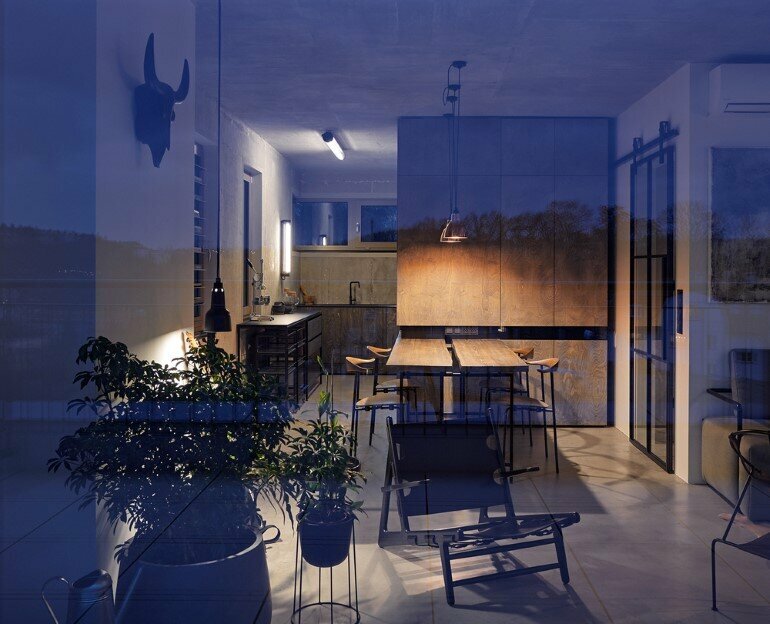 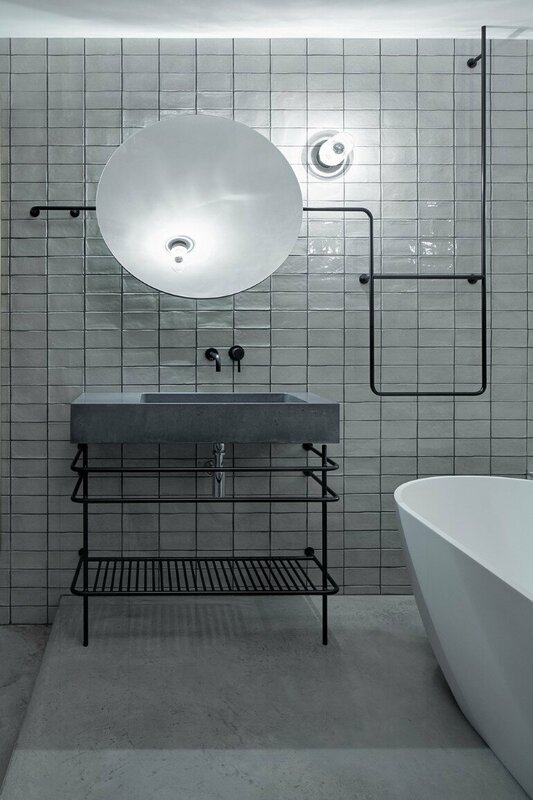 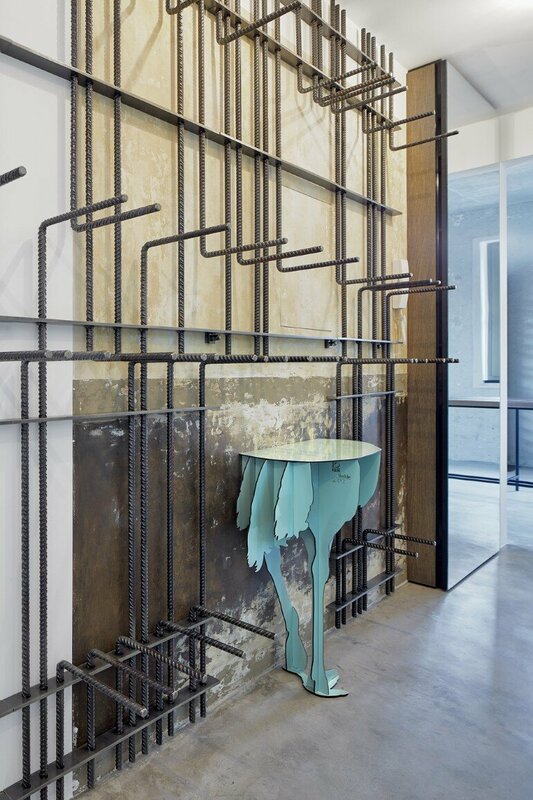 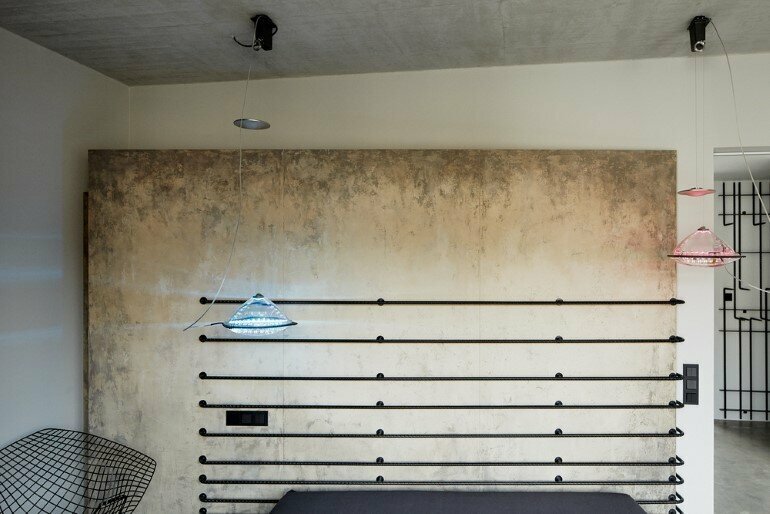 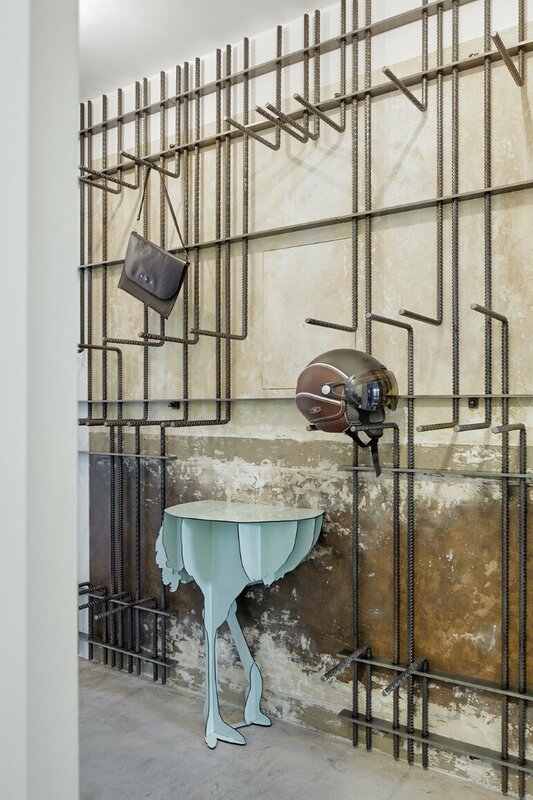 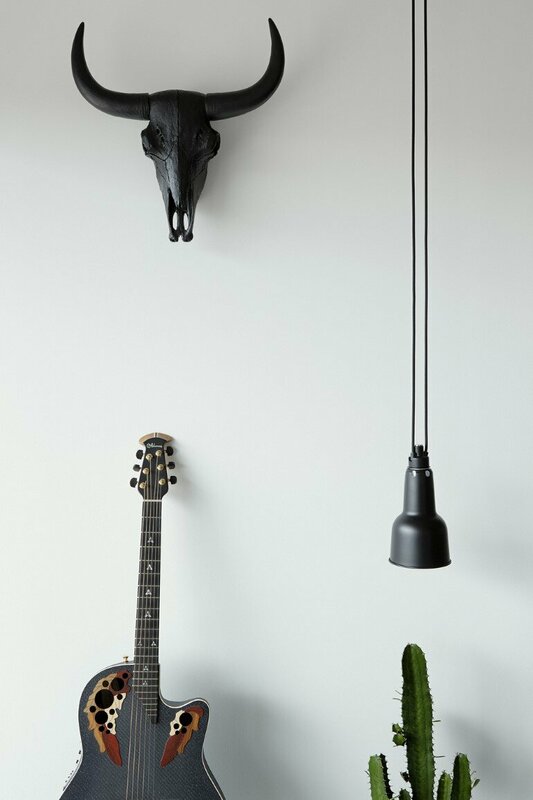 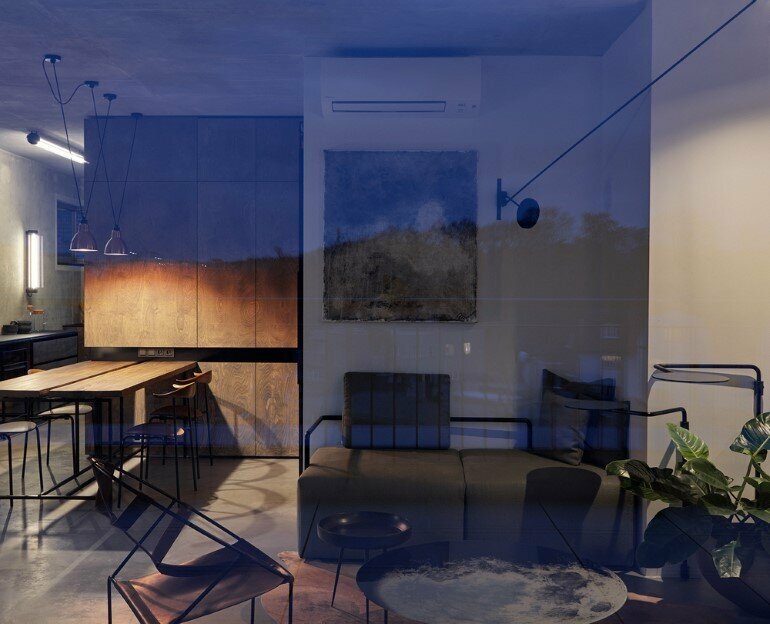 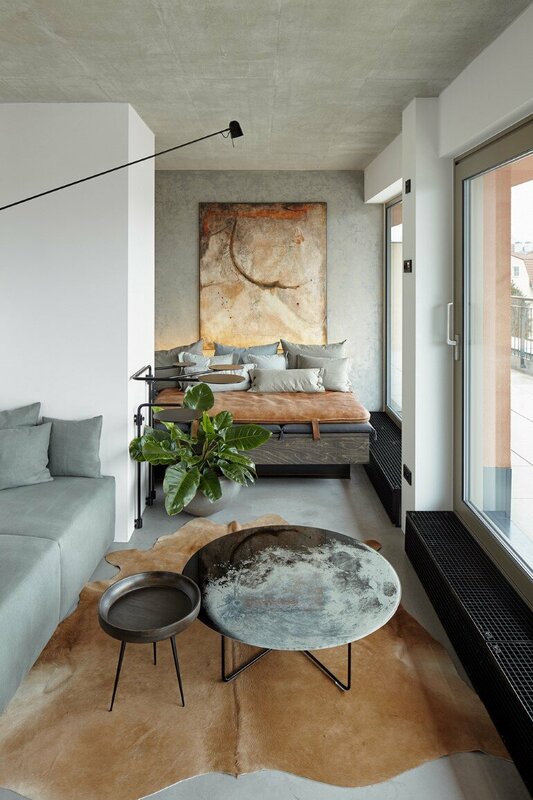 Czech architect Dagmar Štěpánova, head of Formafatal studio, has recently completed this penthouse with a modern industrial look and a Scandinavian touch. 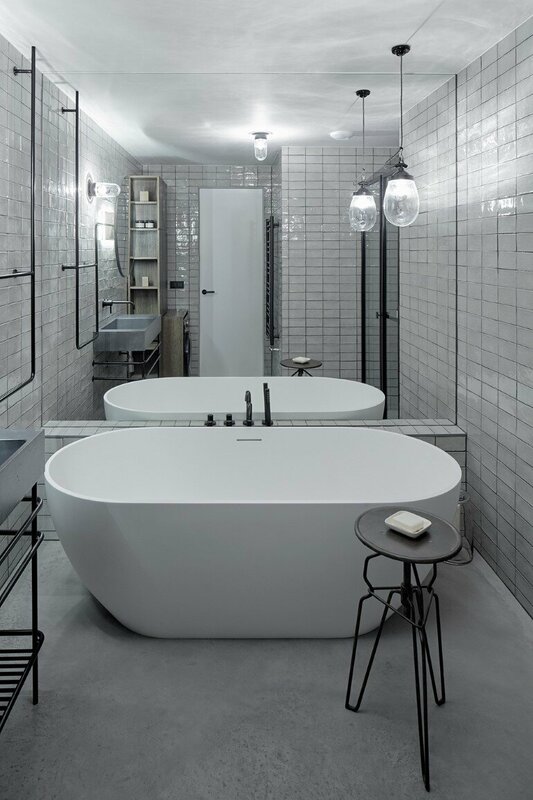 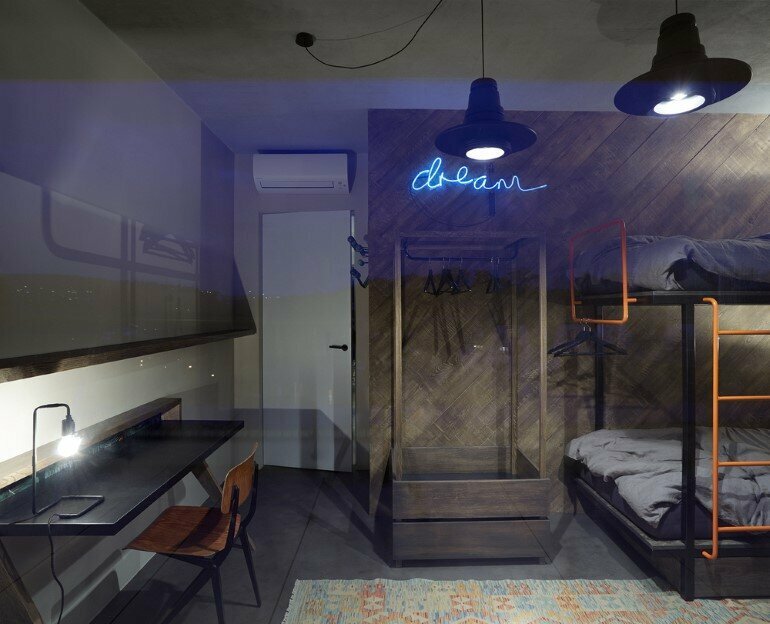 Loft Hrebenky is located on the top floor of a new apartment building in the Czech capital’s Na Hřebenkách district. 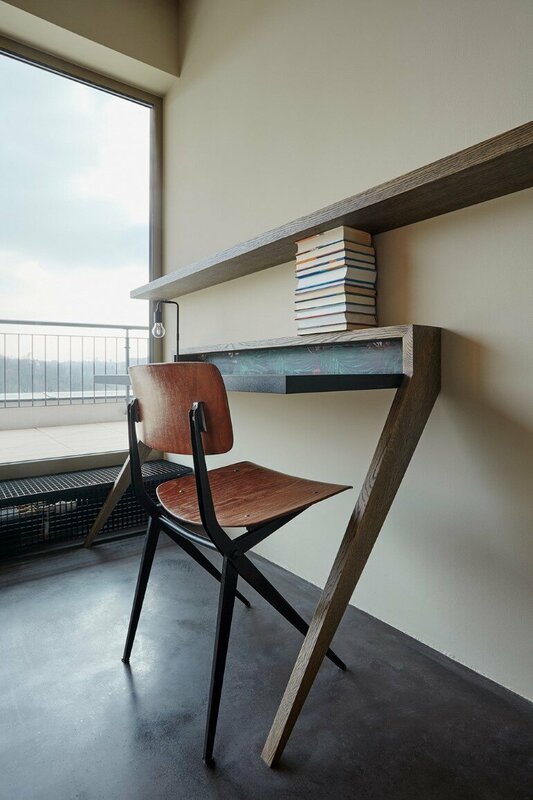 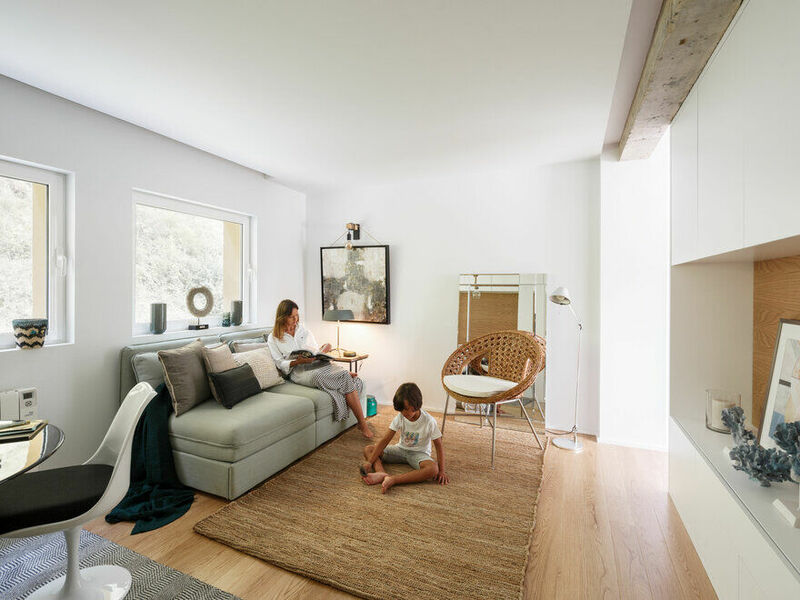 The area of the residential flat is 85m2, with a lovely 50 sqm large terrace that offers striking views of the city. 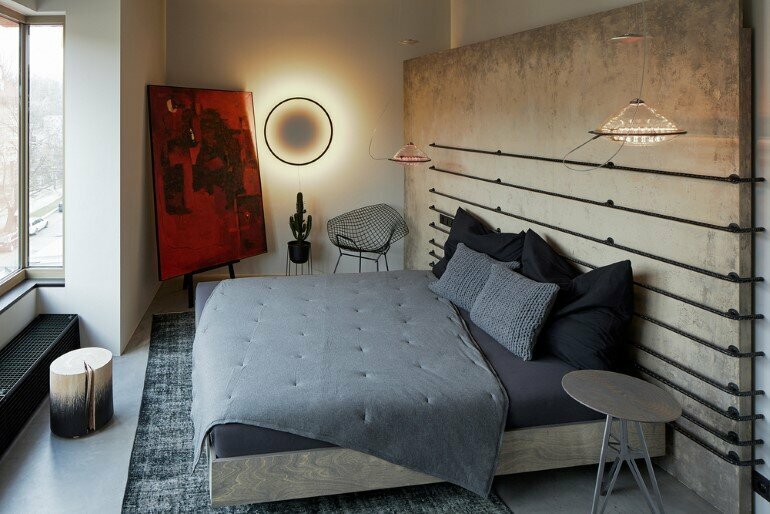 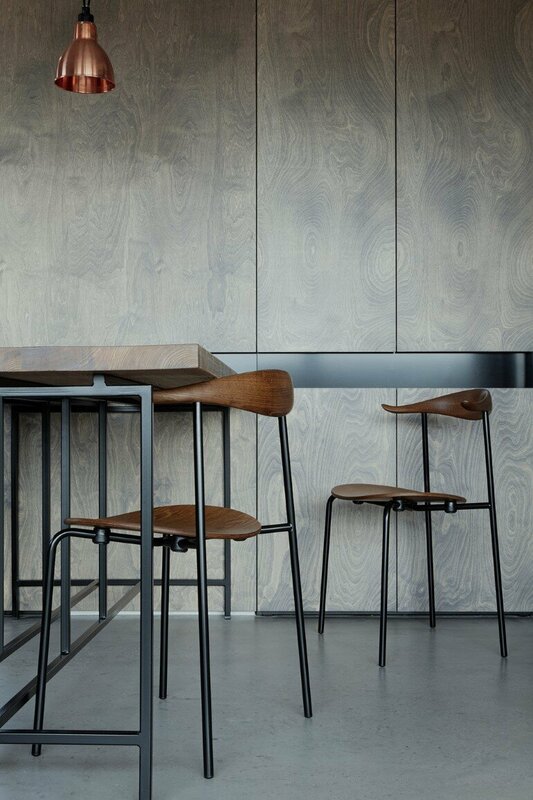 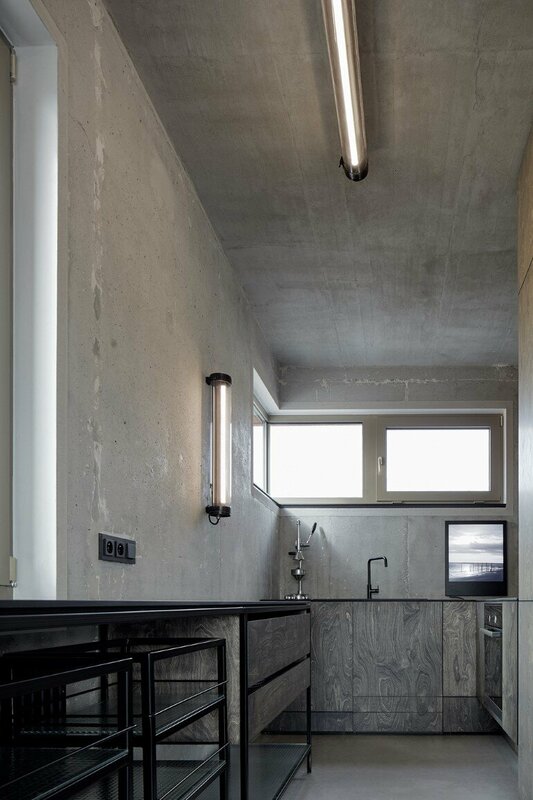 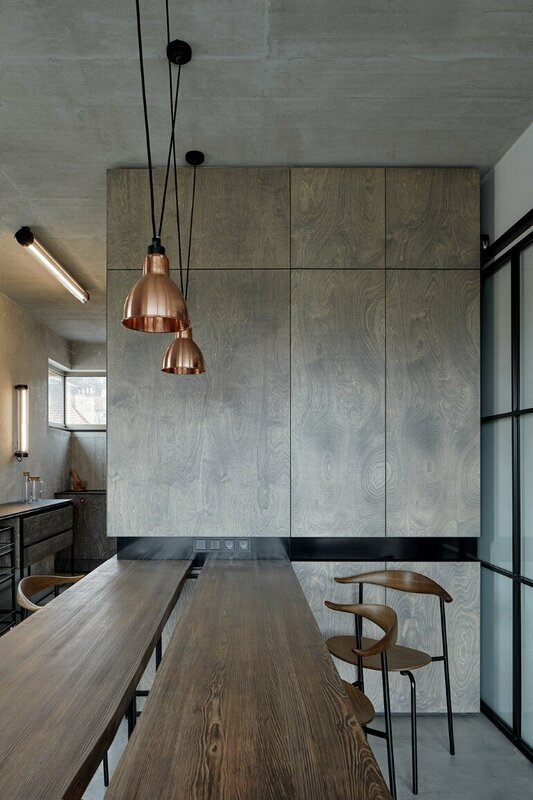 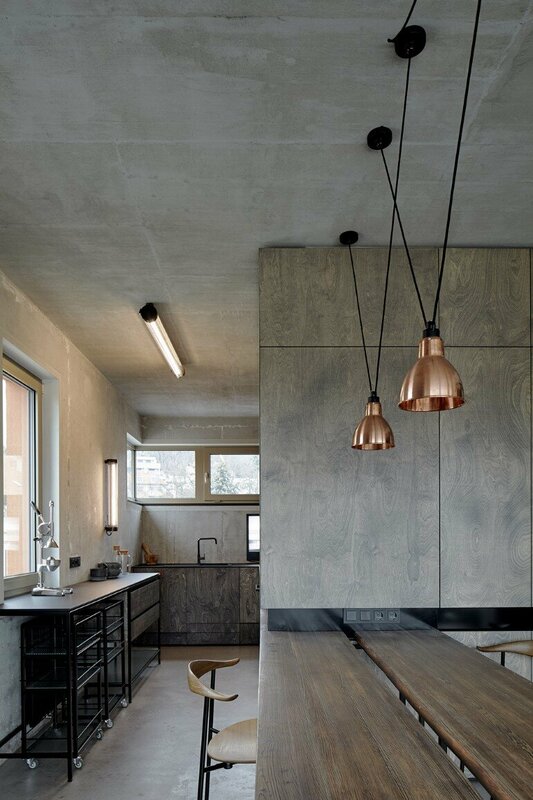 The concrete prefab boards make the raw feeling and crowns more the taste of industrial character. 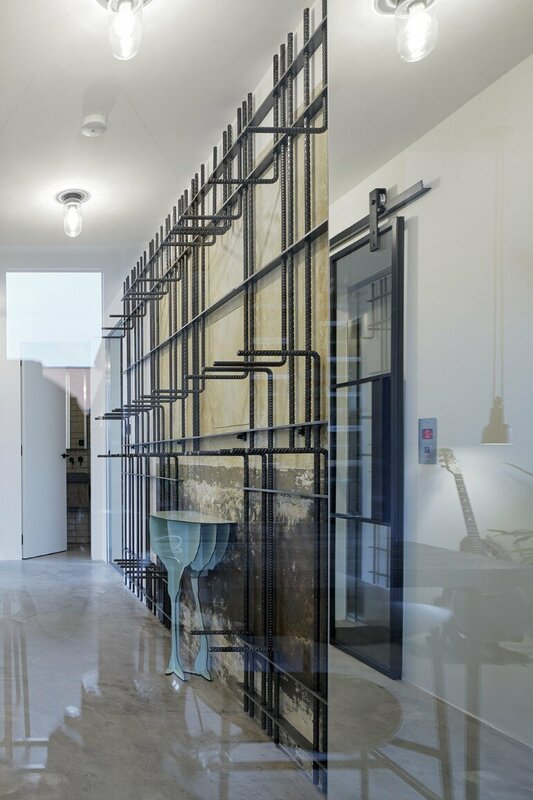 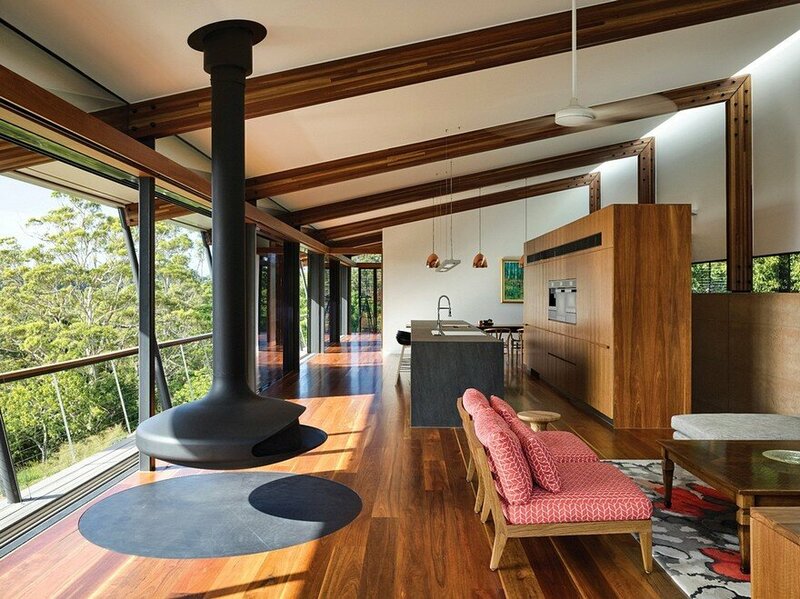 The glass doors with steel frame were atypically made according to architects original design. 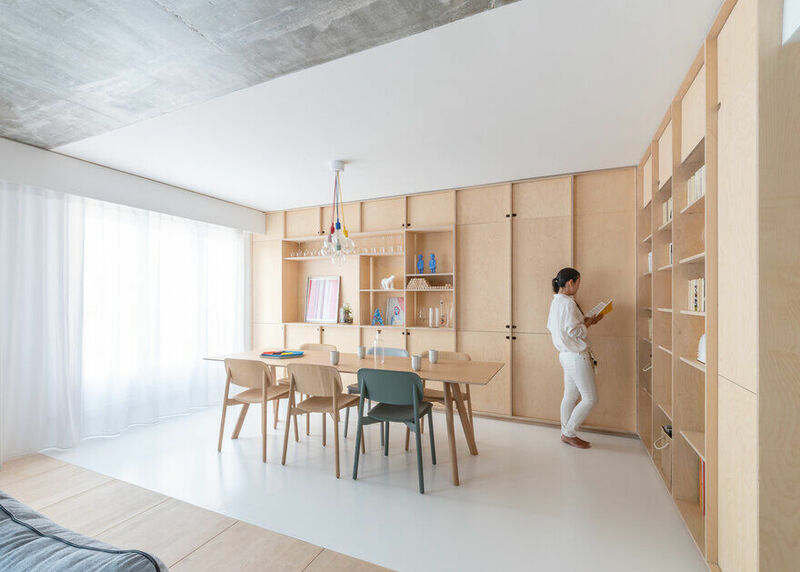 In contrast to them are the solid door with the hidden doorframe, which are not charging the attention. 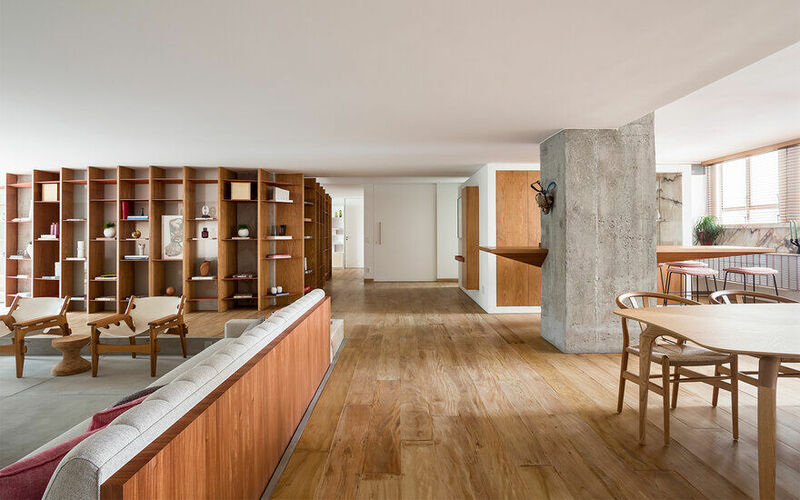 The architect chose decorations, plants, linen, towels etc. 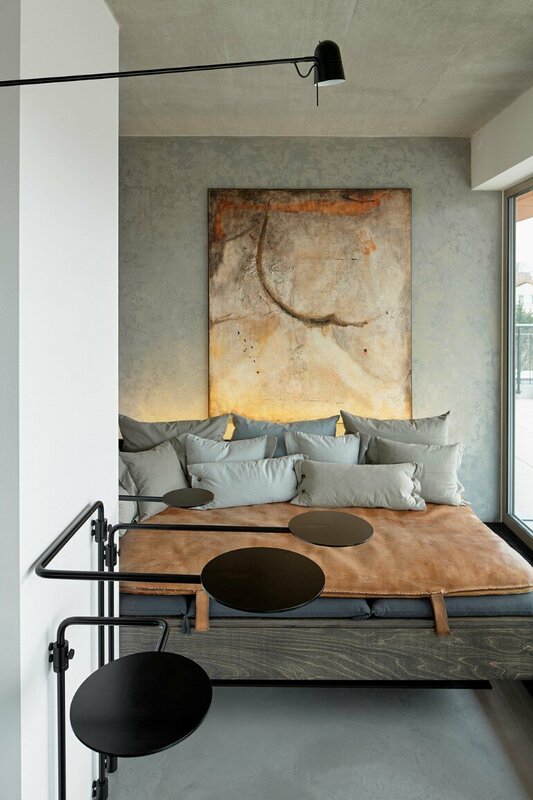 and even she designed the pillows and cushions. 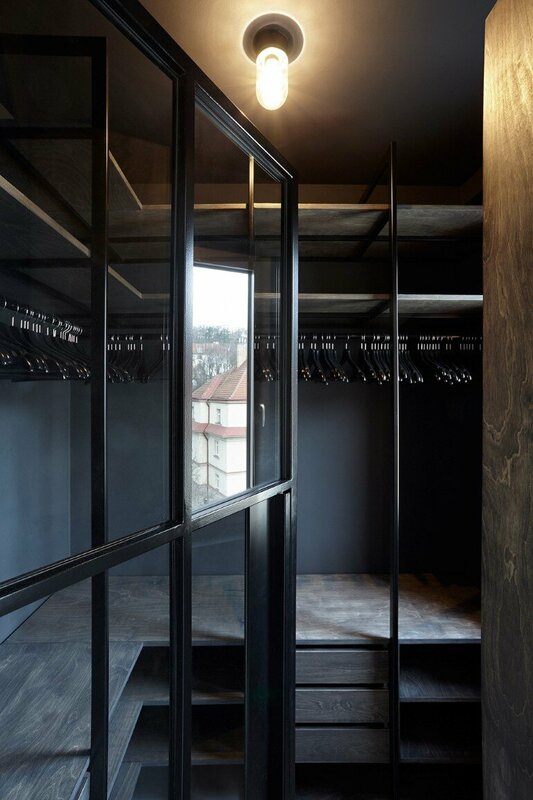 Štěpánová’s design includes 44 pieces of bespoke elements of furniture and fittings, such as tables, beds, sofas, doors, a library and coat hangers, perfectly uniting architecture and interiors in this contemporary apartment.